The Arizona Diamondbacks have been a baseball franchise since 1998. They are in the West Division of the National League and play their home games at Chase Field in Phoenix. Their team colors are Sedona red, Sonoran sand and black. Team nicknames include the D-backs and The Snakes. Arizona starting in the 80s. Finally, in 1995, Major League Baseball awarded a Phoenix-based franchise to a group lead by then-Phoenix Sun’s owner Jerry Colangelo for a $130 million dollar franchise fee. 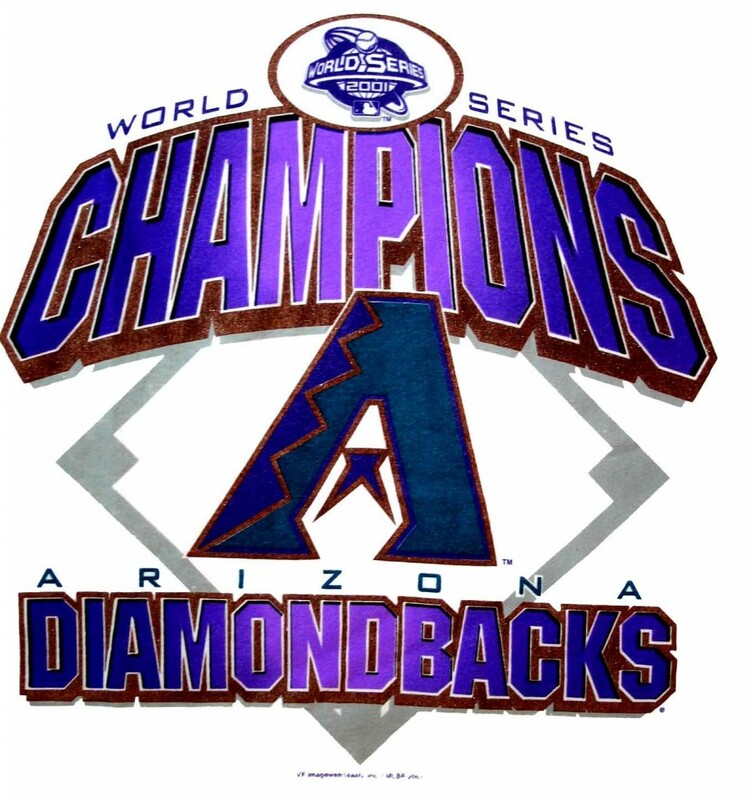 Impressively, the Diamondbacks were able to win their division in only their second year, led by pitcher Randy Johnson and strong offensive seasons from Steve Finley, Luis Gonzalez and Matt Williams. They took a bit of a step back in 2000, but came back strong in 2000, behind the pitching of Johnson and Curt Schilling, and become the fastest franchise in Major League history to win the World Series, a seven game thriller over the New York Yankees. They followed that up with 98 wins and another division title in 2002 but weren’t able to make it back to the Fall Classic. A lean period followed — including a 111 loss season in 2004 — which coincided with problems within the management group and the sale of the team to a new group of investors. Although they did begin to improve after the ‘04 debacle. Brandon Webb, who won the Cy Young in 2006 and was Cy Young runner up the next two years, led the team to a division title and a first round playoff sweep in 2007. However they were swept by the Rookies that year in the National League Championship Series and their overall success was short-lived, with the Snakes slipping back to mediocrity for the next three years. A strong season from pitcher Ian Kennedy propelled Arizona to a surprise Western Division title 2011 and the team then posted twin 81 and 81 seasons in 2012 and 2013. Despite their stunning early success, the D-backs have a losing record as a franchise. Key managers: Buck Showalter and Bruce Bochy. All-time record: 1291 and 1301.